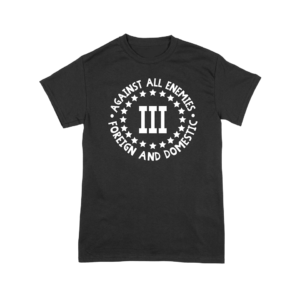 The Three Percenter T Shirt. The Revolutionary War started with 3% of the American population, a special breed who's not afraid to smack down the "going" when the "going" gets tough. That breed lives on... forever free!